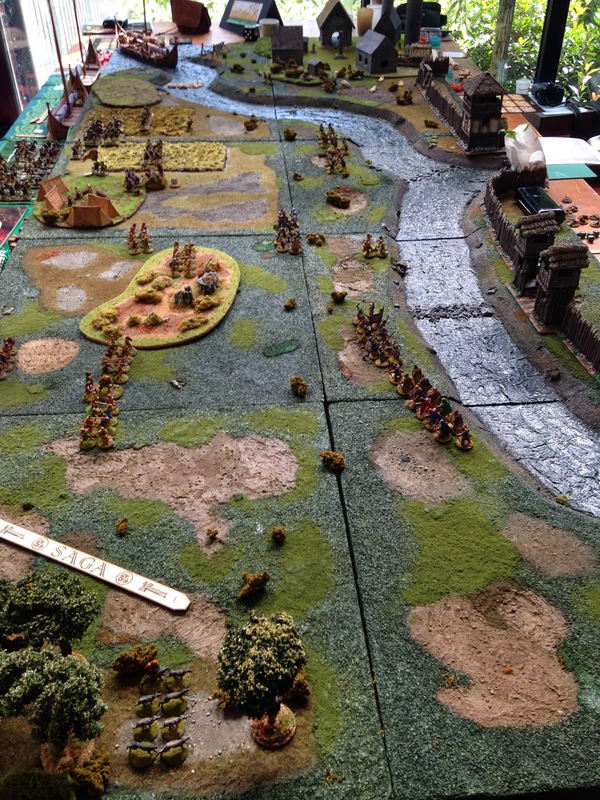 On 20 & 21 September 2014, with the figures club of Lingolsheim's support: Les Grognards d'Alsace, Studio Tomahawk led now, his traditional The Grand Melee - 2nd edition. This year 2014 was placed under the sign of the new Saga - Crescent & the Cross. A total of 46 players! 2) Olivier M. (Rus Princes). 4) Guillaume H. (Anglo Danes). 6) Eric F. (Anglo Danes). -) Philippe C. (Pagan Rus). -) Chuck B. (Pagan Rus). 15) Alex M. (Norse Gaels). 21) Yannick H. (Rus Princes). 22) Studio Tomahawk player (Norman). 1) Jan De N. – Kurt H. (Milites Christi - Crusaders). 2) Fred M. – Greg B. (Milites Christi - Milites Christi). 3) Olivier F. – Christophe O. (Milites Christi - Spanish). 4) Michel C. – Pierre J. (Crusaders - Crusaders). 5) Olivier N. – Loïc C. (Moors - Crusaders). 6) Julie P. – Fabien D. (Mutatawii'a - Sarrasins). 7) Gilbert W. – Yannick M. (Moors - Mutatawii'a). 8 ) Matthieu A. – Florence C. (Crusaders - Crusaders). 9) Dominique S. – Arnaud F. (Sarrasins - Mutatawii'a). 10) Manuel K. – Stefan B. (Milites Christi - Mutatawii'a). 11) Tony S. – Paul W. (Mutatawii'a - Moors). 12) Studio Tomahawk team (Mutatawii'a - Moors).